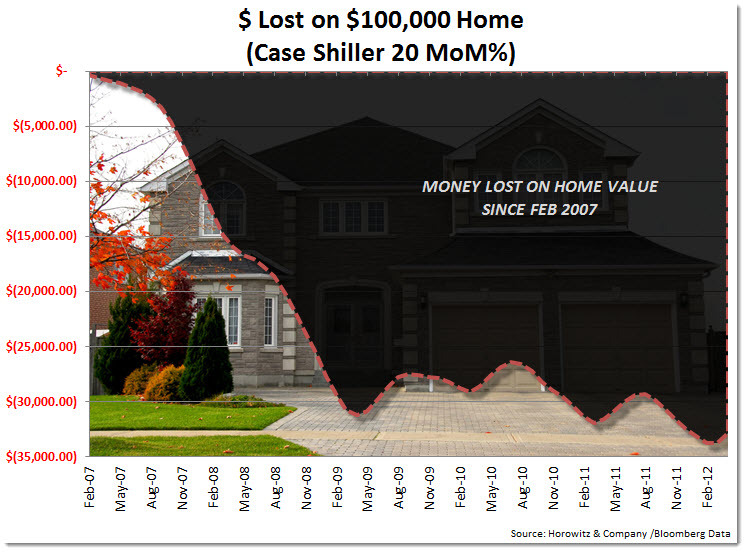 How Much Has The Average Price of a Home Dropped Since 2007? The chart below shows that we are at close to the lowest levels since 2007. Even with the better than expected Case-Shiller report today, there needs to be a significant drive higher to get back to even.